There are two bands sharing this name: (1) Magna Carta was originally formed in London in 10 May 1969 by Chris Simpson (guitar, vocals), Lyell Tranter (guitar, vocals) and Glen Stuart (vocals). The band are renowned for their gentle ballad style and mythical subject matter. Although never purely a folk band, they managed to successfully bridge the gap between folk and folk rock. 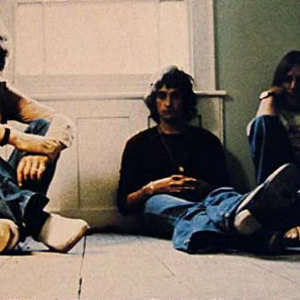 The trio released albums for Fontana Records and Vertigo Records, enjoying particular success with 1970s Seasons before Tranter returned to Australia. (1) Magna Carta was originally formed in London in 10 May 1969 by Chris Simpson (guitar, vocals), Lyell Tranter (guitar, vocals) and Glen Stuart (vocals). The band are renowned for their gentle ballad style and mythical subject matter. Although never purely a folk band, they managed to successfully bridge the gap between folk and folk rock. The trio released albums for Fontana Records and Vertigo Records, enjoying particular success with 1970s Seasons before Tranter returned to Australia. Davey Johnstone joined the line-up as his replacement, recording Songs From Wasties Orchard and In Concert with the band before leaving to work with Elton John. Simpson and Stuart were then joined by Stan Gordon recording and releasing the much-lauded Lord Of The Ages (texts from this album and Seasons were used as part of the English syllabus in several European countries). Graham Smith who had played on the sessions for Lord Of The Ages, was also added to the line-up but shortly afterwards both he and Gordon left. Nigel Smith joined in time to help record 1976's Putting It Back Together. In 1977 Hoy's former bandmate in the Natural Acoustic Band, Robin Thyne joined the band, along with Lee Abbott. Soon afterwards, Pick Withers was added. Withers stayed only briefly, leaving to join Dire Straits. Amid much acrimony Thyne and Hoy left in 1979 to form Nova Karta. Tom McConville appeared on the Live In Bergen release, before the line-up changed again to include Al Fenn and George Norris. Between 1980 and 1982, Doug Morter was added to the line-up, together with a variety of drummers, including Paul Burgess. The 1981 release, Midnight Blue, contained "Highway To Spain", a popular track on radio station playlists around the world. Norris, Burgess and Morter all left, the latter moving on to the Albion Band. Chris Simpson's solo release, Listen To The Man, came out during this period and featured backing from Abbott, Linda Taylor and Willie Jackson. Between 1984 and 1986, Simpson and Taylor went to the Middle East to run a music club, before returning home to re-form Magna Carta. By 1986 the extremely fluid line-up now included, in addition to Simpson, Taylor and Abbott, Gwyn Jones, John Carey , Paul Burgess, and Simon Carlton. In 1988, One To One was released on the Tembo label, Jones left the band the same year. (2) Rather unknown Progressive Metal band from Greece that released just one album in 1990. Marked with a sound not too unsimilar to bands such as Fates Warning or Magellan.